Julian Nagelsmann said he expects no fanfares when he takes Hoffenheim to play future club RB Leipzig on Wednesday and attempts to break his German Cup second-round curse. 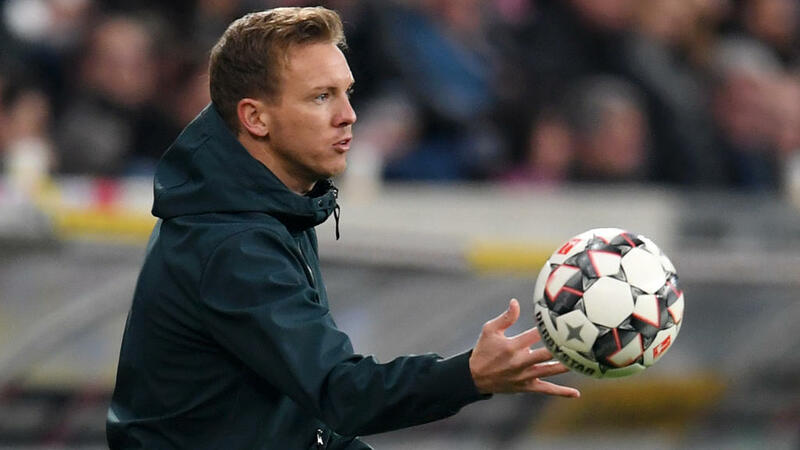 Nagelsmann will become RB's coach next season having signed a contract until 2023 with the club, who reportedly pay Hoffenheim five million euros ($5.7m) for the 31-year-old, voted Germany's coach of the year in 2016. "I don't expect any palm leaves or dances of joy," Nagelsmann said when asked what sort of a welcome he expects at Leipzig's Red Bull Arena. "The fans should welcome me when I come in the summer -- on Wednesday they should cheer for Leipzig." Hoffenheim lost 2-1 at home to Leipzig in September when the teams met in the Bundesliga. To add extra spice to Wednesday's Cup clash, Nagelsmann has never taken Hoffenheim past the second round in his two previous attempts, losing 2-1 at Cologne in 2016 and 1-0 at Werder Bremen last October. "It's just a special game because I'd like to reach the third round," said Nagelsmann. "The Cup draw itself didn't upset us, but our bad luck at this stage of the competition did a bit - I'd liked to have played at home," he added after being drawn away for the third consecutive year in the competition. Nagelsmann has key players Florian Grillitsch, Benjamin Huebner, Lukas Rupp, Dennis Geiger and Nadiem Amiri injured and will rotate his team with tough away games coming up against Bayer Leverkusen in the Bundesliga on Saturday and Lyon in the Champions League away a week on Wednesday. Nagelsmann says he knows a way to subdue Leipzig's fleet-footed forwards. "Of course I have an idea how to crack Leipzig," said Nagelsmann. "Avoiding counter-attacks will be the key."